For Easter I stumbled across these cute bunny ears for Abi. They were so super cute! And was so impressed with the seller that I have been checking out her stuff since! I couldn't decide between two so I just bought them both! 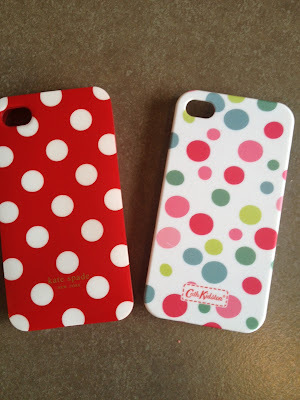 Kate Spade red with white spots and a Cath Kidston colourful spots! What cute stuff have you been unable to resist lately?? ?